How do I replace a turn signal bulb? If you’ve been driving for any length of time, you’ll remember replacing turn signal bulbs was a common event. Thankfully as electric systems on cars and SUVs have improved by proving a steady current, and the quality of the bulbs themselves have been improved as well, having to replace a turn signal bulb is a now a less frequent occurrence. That is to say that it no longer occurs. Eventually all light bulbs will burn out for one reason or another. And since your turn signals are the only way you can communicate to other drivers your intention to change lanes on a highway or make a turn at a stop sign or traffic light, as humble as the bulb may be, it’s still an important safety device. Most vehicles indicate to the driver that there is a turn signal out. On many models of newer Lincoln automobile and Sport Utility Vehicles a warning light illuminates in the instrument cluster when left or right turn signal, or hazard warning flasher, is turned on (i.e., signaling a turn). If indicator remains on or flashes faster, check for a burned out bulb. There are those among us who are gung-ho on DIY repairs, and this article is for them. If you’d prefer to have the bulb replaced for you, please just stop by our service and parts at South Bay Lincoln and we can quickly swap out the bulb for you and send you on your way. In either case, once you’ve identified that you have a non-functioning turn signal you owe it to yourself and other drivers to repair it as quickly as possible. It’s easiest working with a partner outside the car who can check each light as you change from the indicator from to side to side. You can do it yourself as well, it just means reaching into or actually getting in and out of the vehicle. The advantage of the partner system is that you can also check the brake lights. You can purchase a replacement bulb directly from South Bay Lincoln, with the added assurance that you’re buying the exact replacement bulb. If the drive is too far with a burned out bulb, stop by any national auto parts chain and they’ll be able to look up the replacement bulb and sell it to you from their stock. Keep the receipt, of course, just in case. By purchasing the bulb first you avoid having to undo and redo the bulb removal and replacement process. And be sure to use your hand signals when turning to the side with the faulty bulb. Once you’ve determined which bulb has failed, you now need to remove and replace it. Most commonly the bulb can be accessed from the back of the light fixture. You can get to the base of the bulb from under the hood in the front or from the trunk in the rear. Release the clip or rotate the back of the bulb’s simply pull it free from its socket. Take your old bulb and new bulb, and ensure that they are identical and should be marked with the same code (though not always). To remove transferring oils from your fingers to the bulb, which can create a hot spot and shorten bulb lift, use exam gloves or a soft cloth to insert the bulb into its socket. Test the operation before you put everything back together. Reinsert the socket in its fixture and you’re good to go. Should you encounter the unexpected check for a demonstration video for your year and model of Lincoln on YouTube because chances are very high that one or more exist. If you’re unsure of the process, you could start by watching a video. Should you need further information, maintenance services, or mechanical or collision repairs, our expert team at South Bay Lincoln is here to help. 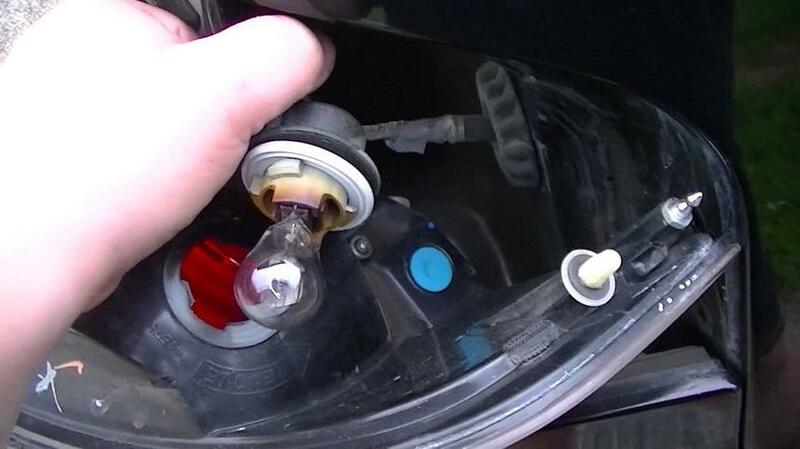 A burned out turn signal bulb is a quick and easy operation. New bulbs and advice are always available at South Bay Lincoln.